In a recent counselling session I sat and watched a new client, a young woman, speak about her abortion experience. I looked at her body language, watched as she shredded many tissues (though not crying) and rolling said tissues into little balls, while eyes down I listened to her story. This is not new; it’s familiar. Before the abortion come the threats, fears, the pressure to end this pregnancy because it’s “still not a baby but some tissue which hasn’t formed into a baby so you won’t feel anything”; and if this cajoling by the boyfriend, family, friends and abortion facility doesn’t work then the boyfriend in question may threaten to harm her and other members of her family, or tell her mother who may also harm her (depending on the cultural context). In the face of such pressures she does as she is told, entering into a hypnotic state where she allows to be done to her what is needed so that someone else can be appeased. And so I listened to her words: “I am a Christian, Anne, I should have known better. I should have known that the sexual relationship was wrong in the first place and that the abortion was wrong. I am so evil.” I hear these words often. There had been no tears to this point and I realised that the flood gates needed to be opened before we could continue. “It has been very painful carrying this by yourself for all these many months hasn’t it?” I said gently. And then as I had hoped the flood came. As I held, calmed and consoled her, I was, as usual, led to the thought that we as women cannot abort our baby and then pretend it was just a minor procedure after which everything will return to normal. A miracle takes places in our womb. A child is entrusted to us by God, for whatever His reason. It is not just a minor inconvenience. The unmarried relationship in this young woman’s words was wrong, along with the sexual encounter, however, the outcome of that encounter, the child, was not wrong: “Before I formed you in the womb I knew you” (Jer. 1:4). Nothing surpasses the dignity of a human being because human life is “not just an idea or an abstraction. It is the concrete reality of a being that lives and acts, grows and develops. Human Life is the concrete reality of a being capable of love and service to mankind” (Blessed John Paul II in his homily in Boston, 7 October 1979). Life is precious because when a life comes into being, it is a forever gift and its destination is eternity and its Creator. “Anne how can God ever forgive me?” is the question most often asked. “Because Jesus asks His Father to forgive you; because Jesus knew that this was a sin you could not refrain from; because He took that sin on the cross on your behalf and from the cross called out: “Father forgive them for they know not what they do” (Lk 23:34). Pope Benedict XVI has written in Spe Salvi (On Christian Hope), “It is not science that redeems man. Man is redeemed by love” (p. 50). For the abortive women their grief is the evidence of that love. Benedict adds, “It is never too late to touch the heart of another. Nor is it in vain” (p. 89). I agree. To touch and help heal the heart of a wounded abortive mother is to help restore her sense of dignity, and to help heal society, because as women and family go so does society. The health of women, Church and society are interconnected. “Our lives are involved with one another, through innumerable interactions they are linked together. No one lives alone. No one sins alone. No one is saved alone” ( Spe Salvi, p. 88). So as the Pope says, it’s not in vain to touch the heart of another, but a new hope. A particular aura is evident when a repentant sinner is met. This person is now marked with a sign of grace and protection (Gen 4:15) and we know that forgiveness and those forgiven are called to mediate for and on behalf of those who still remain in darkness (Lk 22:32-33). The forgiveness, healing and conversion of the abortive woman is a visible sign of mercy and the woman shown such mercy can then mediate for others who have not yet found the way to the mercy seat of God. Those who mourn these great losses are invited to participate in an Immanuel type of mercy. These Immanuel intercessors, who mourn for infants who die in the womb through the violence of abortion, and for the sin of their parents and society, can be mediators of mercy. Mercy and forgiveness are not human initiatives but the work of the Holy Spirit through the intercession of Jesus the beloved Son who took that sin of abortion onto the cross. He knew a woman could not bear the pain of eternal unforgiveness and in His love took suffering on himself so she would never have to know what that act of violence would have meant for her. “Father forgive them for they know not what they do” (Lk 23:34). 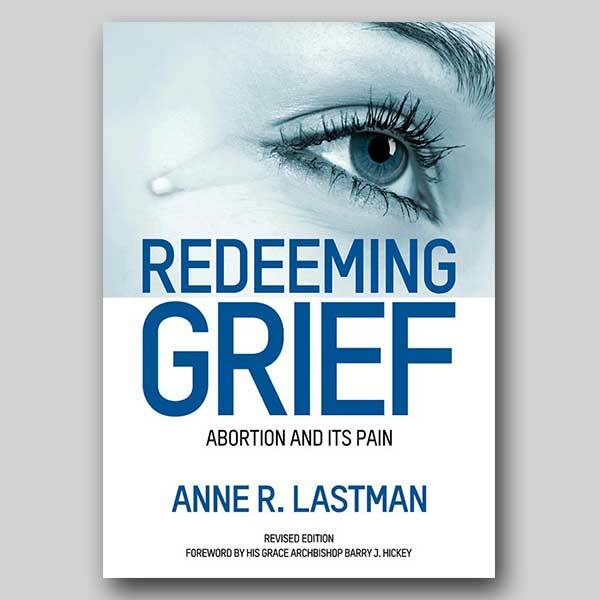 Anne Lastman is the founder of Victims of Abortion and is an Abortion Grief Counsellor (0408 175 033, PO Box 6094, Vermont South, Vic 3133).